On August 6th, 2015, the VA published their proposed changes to the ratings of the Hemic and Lymphatic System (a.k.a. The Blood). This is the sixth set of changes that has been proposed as part of the VA’s complete rewrite of the VASRD which is being done section by section throughout 2015 and 2016. Previously published changes include Mental Disorders, Female Reproductive System, The Eyes, the Endocrine System, and Dental and Oral Conditions. We encourage you to submit any comments you might have on these proposed changes to us either by commenting on this post or by contacting us through our website. All comments must be received by September 21, 2015. We will then compile all of your comments into a single report and submit it on your behalf to the VA, just as we did for the Female Reproductive System. This is a great opportunity to really make a difference, so please do let us know your thoughts. The following are the VA’s proposed changes to the ratings for the Hemic and Lymphatic Systems. The changes are fairly extensive, so I’ll walk through each, one at a time. For each condition, the small, indented parts are the code as it is right now. Click on the code numbers to be taken to the discussion of that code on our site. After the current code, I’ll discuss the proposed changes. The first proposed change is to update the title of this section from “Hemic and Lymphatic Systems” to “Hematologic and Lymphatic Systems.” Basically, the term “hemic” is a very general label for conditions of the blood, and is not used in modern medical terminology as much anymore. Instead, “hematologic” is the preferred term for conditions of the blood and the organs directly affecting the blood. Now on to the codes. 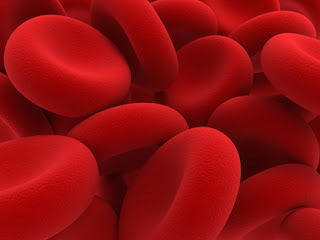 Code 7700: Anemia that is caused by low levels of iron or B12 in the body is rated under this code. This condition is rated based on the amount of hemoglobin in the blood and symptoms directly related to it. If the anemia causes other complications, like dementia or neuropathy, that are not rated under this code, then those conditions can be rated separately. The normal hemoglobin level for an adult female is 12 to 16 grams per 100 milliliters of blood (g/dL). For an adult male it is 13.5 – 17.5 g/dL. If the hemoglobin level in the blood is 5 g/dL or less and causes symptoms like difficulty breathing or congestive heart failure, then it is rated 100%. If the hemoglobin level is 7 g/dL or less and causes symptoms like difficulty breathing, an enlarged heart, high blood pressure, or fainting (at least 3 times in the last 6 months), then it is rated 70%. If the hemoglobin level is 8 g/dL or less and causes symptoms like weakness, headaches, fatigue, lightheadedness, or shortness of breath, then it is rated 30%. If the hemoglobin level is 10 g/dL or less and causes symptoms like weakness, fatigue or headaches, then it is rated 10%. If the hemoglobin level is 10 g/dL or less but does not cause any symptoms, then it is rated 0%. It is important to note that these ratings are based on the hemoglobin level and the symptoms. After the hemoglobin level for each rating, it says “or less,” meaning that if the condition has an enlarged heart (rated 70%) and the hemoglobin level is 5gm/100ml (rated 100%), then the rating would only be 70% since the hemoglobin level for 70% states 7gm/100ml or less. Regardless of how low the hemoglobin level is, the rating can only go up if the symptoms support it. On the contrary, if the hemoglobin level is higher than the requirement for a particular rating, then it cannot receive a lower rating. For example, if the hemoglobin level is 8gm/100ml (rated 30%) and there is an enlarged heart (rated 70%), the rating would only be 30% since the hemoglobin level is too high for the 70% rating. Finally, if there is a significant heart condition, but only mild anemia, then the condition is only rated on the heart condition under a heart code. Okay, a lot is happening with anemia. Currently, there are three codes for anemia: this one, code 7714 for sickle cell anemia, and code 7716 for aplastic anemia. Codes 7714 and 7716 will still remain, but the VA proposes that this code (7700) be removed and four new codes added in its place. Before discussing the new codes, I want to explain the VA’s reasoning behind these changes. Basically, the majority of cases of anemia are either hereditary or caused by another condition, like hypothyroidism. If the anemia is caused by another condition, then only that other condition should be rated. The anemia is just considered a symptom of that condition, and thus is covered under a rating for that condition. The only time anemia should be given its own rating is when it is not directly caused by another ratable condition, or is caused by one of the circumstances addressed by the new codes. The VA proposes adding these four new codes for anemia in order to better break down and classify the type and severity of the ratable anemia. Each code covers a different type of chronic anemia (anemia that has a gradual onset and lasts over a long period of time), as opposed to acute anemia (anemia directly caused by a traumatic or extreme event, like internal bleeding). Acute anemia should be rated under the condition that caused it. -Proposed- Code 7720: Iron deficiency anemia is a type of anemia caused by low levels of iron in the blood. If the low levels of iron are caused by blood loss, then it is not rated under this code, but under the condition causing the blood loss. If the anemia requires iron infusions directly into the veins 4 or more times a year, then it is rated 30%. If it requires you to continuously take high doses of iron supplements, it is rated 10%. If it doesn’t cause any symptoms or can be easily controlled by diet, then it is rated 0%. This one is pretty straightforward. Not really much to discuss. -Proposed- Code 7721: Folic acid deficiency anemia is caused by low levels of folic acid in the blood. If it requires you to continuously take high doses of folic acid supplements, it is rated 10%. If it doesn’t cause any symptoms or can be easily controlled by diet, then it is rated 0%. Folic acid deficiency is very rare these days, but when it does occur, it is very easily treated by supplements and diet. Again, pretty straightforward. -Proposed- Code 7722: Vitamin B12 deficiency anemia (including pernicious anemia) is any type of anemia caused by low levels of vitamin B12 in the blood. This type of anemia is difficult to detect early because the liver stores a lengthy supply of B12, so symptoms do not usually develop until after this supply is depleted. If the anemia is severe enough upon diagnosis that it requires a blood transfusion, then it is rated 100% while being treated and for the first 6 months following discharge from the hospital. A 100% rating is also given if the anemia causes nervous system conditions (like myelitis) and requires injections or IV-administered B12. This 100% rating also continues for the first 6 months following the last B12 treatment. In both cases, after the 6-month mark, the VA will re-evaluate the condition. It will then be given a 10% rating under this code, and any additional symptoms, like myelitis, will be rated separately. If the condition is not severe enough to warrant a 100% rating, but does require continuous treatment with B12, either by mouth, injection, or nasal sprays, it is rated 10%. B12 is an important factor in the creation of new red blood cells, and so any deficiency of B12 in the body will directly affect the level of red blood cells, thus leading to anemia. Any type of B12 deficiency is to be rated under this code, regardless of the cause of the deficiency. -Proposed- Code 7723: Acquired hemolytic anemia is caused by the abnormal breakdown of red blood cells. “Acquired” means that the anemia is the direct result of a factor like medications, injury, toxic chemicals, etc. If it requires a bone marrow transplant, continuous IV treatment, or continuous immunosuppressive therapy (prednisone, etc. ), then it is rated 100%. For bone marrow transplants, this 100% rating will continue for the first 6 months following discharge from the hospital. The VA will then re-evaluate the condition and rate it based on any remaining symptoms or treatment needs. If it requires immunosuppressive medication 4 or more times a year, it is rated 60%. If it requires immunosuppressive medication 2 to 3 times a year, it is rated 30%. If it requires immunosuppressive medication once a year, it is rated 10%. If it does not cause any symptoms, it is rated 0%. If the anemia is caused by the spleen being completely or partially removed, then the spleen is rated separately under code 7706 in addition to a rating under this code. It’s important to note that only acquired hemolytic anemia can be rated under this code. “Acquired” means that it was not caused naturally or by an underlying condition. If it was caused by an underlying condition, then just that underlying condition would be rated. In this case, “acquired” means that another, separate force caused the anemia. This outside force could include things like chemicals, medications used to treat other conditions (this would not be considered an underlying condition since it was the medication, not the condition itself, that caused the anemia), injuries (for example, prosthetic heart valves could cause damage to the heart that could lead to anemia), etc. Code 7702: Agranulocytosis (also known as granulopenia and agranulosis) is a condition where the bone marrow does not produce enough white blood cells. This significantly decreases the body’s immune system and makes the body very vulnerable to infection and disease. If the condition requires a bone marrow transplant, it is rated 100%. This 100% rating continues for 6 months following the transplant. The condition will then be reevaluated and re-rated. Whether or not a transplant is performed, if the condition requires a transfusion of platelets or red blood cells at least once every 6 weeks, or if infections occur at least once every 6 weeks, it is rated 100%. If a transfusion or an infection occurs at least once every 3 months, then it is rated 60%. If a transfusion or an infection occurs at least once a year, then it is rated 30%. If the condition at least requires continuous medication, then it is rated 10%. -Proposed- Code 7702: Agranulocytosis (also known as granulopenia and agranulosis) is a condition where the bone marrow does not produce enough white blood cells. This significantly decreases the body’s immune system and makes the body very vulnerable to infection and disease. A few important things to know before getting into the ratings: Neutrophils are a type of white blood cell that are essential to the immune system. There are two main different types of treatment that can be used to maintain an acceptable level of neutrophils in the blood. In medical reports, this will be noted as the ANC (absolute neutrophil count), and will include a volume count in microliters (µl), for example, ANC = 750/µl. One type of treatment used to keep the ANC up is myeloid growth factors. These are agents that help produce blood cells. The most common myeloid growth factors are granulocyte colony-stimulating factor (G-CSF) and granulocyte-macrophage colony-stimulating factor (GM-CSF). The second most common type of treatment used to boost the ANC is immunosuppressive therapy—basically drugs, like cyclosporine, that suppress the immune system. If the condition requires a bone marrow transplant, it is rated 100%. This 100% rating continues for 6 months following the transplant. The condition will then be reevaluated and re-rated based on any remaining symptoms. Whether or not a transplant is performed, if infections occur at least once every 6 weeks each year on average, it is rated 100%. If continuous immunosuppressive therapy or intermittent myeloid growth factors are needed to keep the ANC between 500/µl and 1,000/µl, or if an infection occurs at least once every 3 months each year on average, then it is rated 60%. If intermittent myeloid growth factors are needed to keep the ANC above 1,000/µl, or if an infection occurs at least once a year on average, then it is rated 30%. If intermittent myeloid growth factors are needed to keep the ANC at 1,500/µl or above, or if the condition at least requires continuous medication, like antibiotics, then it is rated 10%. For a while, transfusions were the popular treatment option for agranulocytosis, but they have always been somewhat controversial because of the numerous complications that could arise from them. Today, transfusions are only really used in particularly severe or unique cases. Instead, other forms of treatment have been developed that better help control the symptoms while decreasing the amount and severity of side effects. The VA’s proposed changes better reflect modern treatment practices and allow for the proper rating of agranulocytosis in the absence of transfusions. Code 7703: Leukemia is a cancer of the blood or bone marrow that causes the over-production of immature white blood cells. There are many different kinds of leukemia, but all are rated the same. If it is active and undergoing treatment, then it is rated 100%. This 100% rating continues for 6 months after the last treatment. Then the condition will be reevaluated and re-rated. If the leukemia is not active or being treated, then it is rated as anemia or aplastic anemia, whichever gives the higher rating. The final code would look like this: 7703-7700. The first four-digit code defines the condition as leukemia, and the second four-digit code says that it is rated as anemia. -Proposed- Code 7703: All leukemia except myelogenous leukemia is rated under this code. Leukemia is a cancer of the blood or bone marrow that causes the over-production of immature white blood cells. If it is active and undergoing treatment, then it is rated 100%. This 100% rating continues for 6 months after the last treatment. Then the condition will be reevaluated and re-rated based on any lasting symptoms or other conditions caused by the leukemia or the treatment. If the leukemia is chronic lymphocytic leukemia or monoclonal B-cell lymphocytosis, it is rated as all other leukemias unless it is in the first stage (Rai Stage 0) and there are no symptoms. Even when active, chronic lymphocytic leukemia in Rai Stage 0 does not cause any symptoms and so is rated 0%. A few changes happened to the ratings for leukemia. First, the VA decided to separate out chronic myelogenous leukemia and give it its own code, 7719, since it provides some unique problems. I’ll discuss the new code 7719 below. Since leukemia can cause a lot of problems throughout the body, not just anemia, the VA also proposes getting rid of the requirement to just rate inactive leukemia on anemia. Instead, any symptoms or conditions, whether anemia or no, can be rated separately under these changes. Finally, chronic lymphocytic leukemia in its early stages does not cause any symptoms and thus doesn’t cause a disability. It is only after it progresses to more severe stages that a true disability appears. If detected early and properly treated, this leukemia can stay asymptomatic for many years. Thus, until it develops to a point where symptoms are manifest, the VA proposes that it should only be rated 0%. Code 7704: Polycythemia vera is the opposite of anemia. Instead of having too few red blood cells, the bone marrow produces too many red blood cells. This can cause shortness of breath, bleeding, dizziness and many serious symptoms. If this condition causes a serious side effect like high blood pressure, gout, a stroke or a blood clot, then those conditions are rated separately. They must be serious enough to cause a significant decrease in the ability to function in order to qualify for a rating. For example, slightly high blood pressure that does not limit the amount of activity a person can do is not enough for high blood pressure to be rated separately. Polycythemia vera is not curable but can be treated. If it requires treatment of myelosuppressants then it is rated 100%. This 100% rating continues for 3 months following the last myelosuppressant treatment. The condition is then reevaluated and re-rated. Whether or not myelosuppressants were used, if the condition is severe enough that a phlebotomy has to be routinely performed, then it is rated 40%. If the condition is stable whether or not medication is being taken, then it is rated 10%. -Proposed- Code 7704: Polycythemia vera is the opposite of anemia. Instead of having too few red blood cells, the bone marrow produces too many red blood cells. This can cause shortness of breath, bleeding, dizziness and many serious symptoms. If this condition causes a serious side effect like high blood pressure, gout, a stroke or a blood clot, then those conditions are rated separately. They must be serious enough to cause a significant decrease in the ability to function in order to qualify for a rating. For example, slightly high blood pressure that does not limit the amount of activity a person can do is not enough for high blood pressure to be rated separately. Polycythemia vera is not curable but can be treated. If it requires a peripheral blood or bone marrow stem-cell transplant, treatment with radioactive phosphorus, or treatment with chemotherapy (including myelosuppressants), then it is rated 100%. This 100% rating continues for 6 months following the last treatment or discharge from the hospital. The condition is then reevaluated and re-rated. If it requires a phlebotomy to be performed 6 or more times each year, or if it requires radioactive phosphorus treatments, chemotherapy, or treatment with other targeted agents (like imatinib or ruxolitinib), then it is rated 60%. If it requires a phlebotomy to be performed 4 to 5 times each year, or if it requires continuous therapy (with biologic or myelosuppresive agents) to keep the platelet count under 200,000 or the white blood cell count under 12,000, then it is rated 30%. If it requires a phlebotomy or other treatments 3 or less times each year, then it is rated 10%. If the condition turns into leukemia, then it is rated as leukemia under code 7703. There are many more standard types of treatments for Polycythemia vera now, so the VA’s proposed changes are meant to better reflect the severity of the condition based on the variety of treatments currently used. There is a problem with their proposed changes, however, that we are definitely going to comment on and hopefully get fixed. The requirement of radioactive phosphorus or chemotherapy treatments is listed exactly the same under two different ratings: 60% and 100%. How, then, are the Rating Authorities supposed to decide between the two ratings? If it qualifies for a 100%, then a 60% would never be given. Why give a lower rating when it qualifies for a higher? They definitely need some clarification of what they really intended for the different rating levels. Code 7705: Thrombocytopenia is a condition where the platelet count in the blood is low. The normal amount of platelets in a microliter of blood is between 150,000 to 450,000. If the platelet count is less than 20,000 and there is bleeding that requires medication and transfusions, then it is rated 100%. If the count is between 20,000 and 70,000 but there is no bleeding and it does not require treatment, then it is rated 70%. If the platelet count is stable and between 70,000 and 100,000 and there is no bleeding, then it is rated 30%. A stable count of 100,000 or more with no bleeding is rated 0%. -Proposed- Code 7705: Thrombocytopenia is a condition where the platelet count in the blood is low. The normal amount of platelets in a microliter of blood is between 150,000 to 450,000. If the platelet count remains at 30,000 or less despite treatment, it is rated 100%. A 100% rating is also given if the condition is chronic refractory thrombocytopenia (a specific type of thrombocytopenia) and it requires chemotherapy. This 100% rating continues for 6 months following the last chemotherapy treatment and is then reevaluated and re-rated based on any remaining symptoms. A 70% rating is given if the condition requires immunosuppressive therapy to keep the platelet count between 30,000 and 50,000, and the patient had been hospitalized at least once in the past for severe bleeding that was treated with immune globulin, corticosteroids, and platelet transfusions. A 30% rating is given if the platelet count is between 30,000 and 50,000, and there is mild bleeding that requires either oral corticosteroids or immune globulin injections. A 10% rating is given if the platelet count is between 30,000 and 50,000, but no treatment is required. A 0% rating is given if the platelet count is above 50,000, or if the immune thrombocytopenia is in remission. If a splenectomy is performed, it is rated separately under code 7706. The proposed changes to the ratings for thrombocytopenia are mostly based on the need to better reflect the true disability resulting from this condition and to acknowledge the more modern treatment methods. Codes 7706 and 7707 for conditions of the spleen and splenectomies are remaining exactly the same. Code 7709: Hodgkin’s disease is a cancer of the white blood cells (lymphoma) that spreads across the lymph nodes. Hodgkin’s disease is “staged” based on the severity of the cancer. The military will usually place the individual with a lower stage cancer on TDRL and may place him back on active duty after treatment. An individual with a more severe cancer will usually be medically retired. If the cancer is active or undergoing treatment, then it is rated 100%. This rating continues for 6 months following the last treatment. The condition is then reevaluated and re-rated based on the ongoing symptoms. The only change to this code is to change the name from “Hodgkin’s disease” to “Hodgkin’s lymphoma”, the name more widely used now. Everything else is exactly the same. No changes are being made to code 7710 for tuberculous adenitis. -Proposed- Code 7712: Multiple myeloma is a type of cancer that creates abnormal plasma cells, a type of white blood cell. These abnormal cells can build up and form tumors mostly in the bones, but can build up in the organs as well, thus causing numerous different symptoms. While multiple myeloma is incurable, it is treatable. Smoldering or indolent myeloma is the benign precursor to multiple myeloma and is normally symptom-free. It is thus given a 0% rating. The majority of cases of smoldering or indolent myeloma do develop into multiple myeloma, and thus should be carefully monitored. As soon as it can be officially diagnosed as multiple myeloma, its rating can be increased. The VA is very specific about the qualifications that must be in place before any case of myeloma can be officially diagnosed for rating purposes. Active, diagnosed multiple myeloma is rated 100%. This 100% rating continues for 5 years after diagnosis. The condition is then reevaluated by the VA and re-rated as needed. There is currently not a code that sufficiently covers and rates multiple myeloma. The addition of this code will allow for more appropriate and precise ratings for this condition. Code 7714: Sickle cell anemia is a kind of anemia where the red blood cells that carry the oxygen become shaped like a sickle (or a boomerang). Because of this, they are not able to carry as much oxygen to the body, and they sometimes get stuck in small blood vessels, blocking the blood flow to the tissues. A diagnosis of this condition alone is not enough to get a rating. There must be proof of significant symptoms that limit your ability to function in some way. This condition is genetic, and so it technically did exist prior to service (EPTS), and may not be ratable by the DoD. If there are regular severe painful episodes, blood clots, and other symptoms that all cause the condition to be severe enough that even light manual labor cannot be performed, then it is rated 100%. If there are severe painful episodes multiple times a year with symptoms that restrict activity to just light manual labor, then it is rated 60%. If there have been episodes of severe active destruction of red blood cells and these episodes cause symptoms that continue after the episode is over, then it is rated 30%. If the condition has been properly diagnosed and it affects some organs, but there are no symptoms, then it is rated 10%. -Proposed- Code 7714: Sickle cell anemia is a kind of anemia where the red blood cells that carry the oxygen become shaped like a sickle (or a boomerang). Because of this, they are not able to carry as much oxygen to the body, and they sometimes get stuck in small blood vessels, blocking the blood flow to the tissues. A diagnosis of this condition alone is not enough to get a rating. There must be proof of significant symptoms that limit your ability to function in some way. This condition is genetic, and so it technically did exist prior to service (EPTS), and may not be ratable by the DoD. If there are 4 or more severe painful episodes each year, with blood clots, anemia, and other symptoms that all cause the condition to be severe enough that even light manual labor cannot be performed, then it is rated 100%. If there are 3 or more severe painful episodes each year with symptoms that restrict activity to just light manual labor, then it is rated 60%. If there are 1 or 2 severe painful episodes each year, then it is rated 30%. If the condition has been properly diagnosed and it affects some organs, but there are no symptoms, then it is rated 10%. The only real change to this code is to specify the number of severe episodes that must occur each year to qualify under a particular rating. This makes it easier to clearly make rating decisions for cases of sickle cell anemia. Code 7715: Lymphomas that are not Hodgkin’s are rated under this code. Lymphomas are the growth of lymphoid cells in areas they are not meant to be. If the cancer is active or undergoing treatment, then it is rated 100%. This rating continues for 6 months following the last treatment. It is then reevaluated and re-rated based on the ongoing symptoms. -Proposed- Code 7715: Lymphomas that are not Hodgkin’s are rated under this code. Lymphomas are the growth of lymphoid cells in areas they are not meant to be. If the cancer is active—even if it is only in an indolent, slow growth, or non-contiguous stage—or undergoing treatment, then it is rated 100%. This rating continues for 2 years following the last treatment. It is then reevaluated and re-rated based on the ongoing symptoms. Two changes were made to this code. First, additions were added to clarify that even the lowest stage of non-Hodgkin’s lymphomas are rated at 100%, not just the more aggressive stages. Second, the 100%-rating period was changed from 6 months to 2 years because lymphomas are notorious for recurring, often after the 6-month period, but usually within 2 years. Code 7716: Aplastic anemia is a condition where the bone marrow does not make enough new blood cells. If the condition requires a bone marrow transplant, then it is rated 100%. This 100% rating will continue for 6 months following the transplant surgery. After this time, the condition will be reevaluated and rated on its need for continuing transfusions or medications as detailed below. If the condition does not need a transplant, but requires a transfusion of red blood cells or platelets at least once every 6 weeks or if there are infections that occur at least every 6 weeks, then it is rated 100%. If it requires a transfusion at least once every 3 months or if there are infections occurring every 3 months, then it is rated 60%. If it requires a transfusion at least once a year or if there are infections occurring at least once a year, then it is rated 30%. If the condition at least requires continuous medication, then it is rated 10%. -Proposed- Code 7716: Aplastic anemia is a condition where the bone marrow does not make enough new blood cells. If the condition requires a bone marrow or peripheral blood stem cell transplant, then it is rated 100%. This 100% rating will continue for 6 months following discharge from the hospital. After this time, the condition will be reevaluated and re-rated. If the condition does not need a transplant, but requires a transfusion of red blood cells or platelets at least once every 6 weeks each year on average or if there are infections that occur at least every 6 weeks each year on average, then it is rated 100%. If it requires a transfusion at least once every 3 months each year on average, or if there are infections occurring every 3 months each year on average, or if it requires continuous immunosuppressive therapy, then it is rated 60%. If it requires a transfusion at least once a year on average, or if there are infections occurring at least once a year on average, then it is rated 30%. The VA proposes to update this code to better reflect current treatments of aplastic anemia, including peripheral blood stem cell transplants. Also the terms “on average” were added to better standardize the rating options. Finally, the VA proposes to get rid of the 10% rating altogether, stating that any medications used to treat aplastic anemia qualify for a higher rating, and so the 10% rating is now obsolete. This is further justified by the fact that they added the requirement of immunosuppressive therapy to the 60% rating, thereby covering all the standard treatment options under the higher ratings. -Proposed- Code 7718: Essential thrombocythemia is a disease which causes the body to produce too many platelets, and primary myelofibrosis is a condition that interferes with the ability of the bone marrow to produce blood cells, thus resulting in abnormal cell and platelet levels. Both are rated under this code. If the condition requires a bone marrow or peripheral blood stem cell transplant or radioactive phosphorus or chemotherapy (including myelosuppresants), it is rated 100%. This 100% rating continues for 6 months following discharge from the hospital or following the last treatment. It is then reevaluated and re-rated by the VA.
A 100% rating is also given for the entire time the condition requires continuous myelosuppressive therapy. If the condition requires myelosuppressive therapy to keep the platelet count less than 500,000,000,000/L (a.k.a. 500x109/L), it is rated 70%. If it requires myelosuppressive therapy to keep the platelet count between 200,000 and 400,000 or to keep the white blood cell count between 4,000 and 10,000, it is rated 30%. A 0% rating is given if the condition is asymptomatic. If the condition turns into leukemia, it is then not rated under this code, but under code 7703. This is a new code the VA is proposing to cover one of the myeloproliferative disorders (conditions that cause the overproduction of either white blood cells, red blood cells, or platelets) that have previously not been included in the VASRD. A different code is proposed to cover each of the types of overproduction: 7704 for overproduction of red blood cells (not a new code, but adjusted), 7718 for overproduction of platelets, and 7719 for overproduction of white blood cells. Although 7718 is technically for overproduction of the platelets (essential thrombocythemia), it also includes primary myelofibrosis. This is a bit odd since primary myelofibrosis does not cause the overproduction of platelets in the majority of cases. It is far more like to cause the overproduction of white blood cells. So, exactly why the VA decided to include it under this code is not clear. It would be far less confusing to the Rating Authorities to give primary myelofibrosis its own code or rate it under 7719. We’ll comment on it, and see what they ultimately decide. -Proposed- Code 7719: Chronic myelogenous leukemia (a.k.a. CML, chronic myeloid leukemia, or chronic granulocytic leukemia) is a cancer that causes the bone marrow to produce too many white blood cells. It is a form of leukemia, but because of its unique properties, there are different treatment options. CML can evolve into regular leukemia. If it does, then it is rated under code 7703 for all other leukemias. If the condition requires a bone marrow or peripheral blood stem cell transplant or if it requires continuous myelosuppressive or immunosuppressive therapy (like radioactive phosphorus or chemotherapy), then it is rated 100%. This 100% rating continues for 6 months following the last treatment or discharge from the hospital. The condition is then reevaluated by the VA and re-rated. If the condition requires interferon treatments, periodic myelosuppressive therapy, or tyrosine kinase inhibitor therapy, it is rated 60%. If the condition requires continuous tyrosine kinase inhibitor therapy to keep it in apparent remission, it is rated 30%. The VA proposes to add this code and separate the rating of chronic myelogenous leukemia from the rating of all other leukemias (code 7703). This separation is due primarily to the fact that CML can often be treated effectively by modern medications and treatments, thus keeping the seriousness of the condition at bay in many instances. Because of this, there are varying severities of CML that can last for significant periods of time, thus requiring appropriate ratings for the varying severities. -Proposed- Code 7724: Solitary plasmacytoma is a cancer of the plasma cells that develops in the bones. If caught early, the majority of solitary plasmacytomas are curable, but the majority can also turn into multiple myeloma. If the plasmacytoma develop into multiple myeloma, then it is rated under code 7712 as symptomatic multiple myeloma. Treatments for solitary plasmacytoma can include surgery, radiation, chemotherapy, stem cell transplants, and other procedures. If the solitary plasmacytoma is active or being treated, it is rated 100%. The 100% rating continues for 6 months following the last treatment. The VA will then reevaluate and re-rate the condition. If the condition or its treatments cause other conditions, like thrombosis or nerve damage, then each can be rated separately. Like the previous code, the VA proposes giving solitary plasmacytoma its own code instead of rating it as multiple myeloma since it can be treated and even cured. -Proposed- Code 7725: Myelodysplastic syndromes are conditions in which the body does not produce enough of all types of blood cells. If the condition requires a bone marrow or peripheral blood stem cell transplant, or if it requires chemotherapy, it is rated 100%. This 100% rating continues for 6 months following the last treatment or discharge from the hospital. It will then be reevaluated and re-rated by the VA. If the condition requires 4 or more blood or platelet transfusions each year on average, or if it causes 3 or more infections that require hospitalization each year on average, it is rated 60%. If the condition requires 1 to 3 blood or platelet transfusions each year on average, or if it causes 1 or 2 infections that require hospitalization each year on average, or if it requires either ongoing interferon alpha therapy or erythropoiesis stimulating agent (ESA) for 12 weeks or less, it is rated 30%. If the condition develops into leukemia, it is rated under code 7703. The VA proposes adding this code because myelodysplastic syndromes are fairly common in veterans, and the VASRD does not currently have a code that satisfactorily rates the treatment needs of these disorders. Is there a benefit pain for attendance for dependent adult children? I have a 29-y.o. son with a neuromuscular DO. Good question. Aid and attendance benefits are only for veterans and their spouses, not for children or other dependents. That being said, an adult child that has a permanent incapacity for self-support can be considered as a minor (under 18) child when determining your disability compensation. Not yet. Nothing has been published for that section, so until it is, we don't really know what they are considering. We do have it down as a condition to watch for on our end, though, so if it isn't included, we can submit an argument for it to be added. where does mastocytosis fit in? Good question. The VA doesn't give a code for mastocytosis. The only condition that they cover that causes the overproduction of white blood cells (although not strictly mast cells) is leukemia, and some forms of mastocytosis are leukemic, so this would be the most logical analogous code. Under the current VASRD, inactive leukemia (which mastocytosis would usually be) is rated as anemia, but under the proposed changes (which aren't finalized yet), it would be rated on any symptoms. So basically, whatever symptoms you have would be rated separately. Ultimately, regardless of the code chosen, mastocytosis would be rated on the predominant symptoms. The VA came back with a 10% rating for "systemic lupus erythematosus". What are my options other than to file NOD? Are you aware of any medical or VA legal documents that I can reference to show them they are wrong? My main symptoms which I've struggled with which has led to the diagnosis is uncontrollable itching when I don't take antihistamines, hives if I don't take antihistamines, and episodes (a few times per year) when I get headaches, fatigue, generally feel miserable for a week or two and this occurs a few times per year. Thank you. You have a tough case. It is incredibly difficult to get a rating higher than 10% for this condition. The itching and hives are controllable by medication, so they are not ratable. To get a higher rating, you must have medically documented proof that you have had two to three episodes in the past year alone. These must be clearly documented. Each episode must have lasted at least a week and included symptoms that significantly interfere with your ability to function. The key to your argument is the documented proof of these episodes. You mention your symptoms and that they occur "a few times a year," but they will have to have exact specifics outlined in medical records in order to increase your rating. Unfortunately, just your testimony alone is not enough. Now if you have the proper documentation of these episodes, then all you need to do is file an NOD. Just make sure to include this evidence, and you should be good to go. If you do not have this evidence, then you can try to submit an NOD, but it will most likely not be successful. Always worth a shot, though. Filing an NOD is the only option you have at this stage. What about hemochromatosis for those that have been in for more than the 8 years? My husband is getting ready to go before the board and had regular phlembotomies. Would it fall under code 7704? Yes, Code 7704: Polycythemia vera, is definitely the best analogous code for hemochromatosis. Because of his regular phlebotomies, he would qualify for at least a 40%. The 40% is under the current ratings. Once the new ones are finalized, it'll be based on the new ratings. Thank you for your service and continue service to veterans. I'm a OIF Vet that is service connected for Multiple sclerosis which is rated at 30%. Do you know of any planned changes to the rating scale. Its hard to believe a disease with severe mental and physical ramifications is rated so low. It's impossible for me to say what they have planned for MS ratings until they published the proposed changes for the nervous system. Until that time, it would be mere speculation. Nobody knows until it's published. Keep checking back here, though. As soon as they publish it, we'll blog it and then we'd love to get your feedback on the proposed changes. I have heard some discussion with dependents of Agent Orange who develop Diabetes. Is this Military related? What to do about this? Type II diabetes is on the VA Presumptive List for Agent Orange, so as long as there is evidence of Agent Orange exposure, diabetes will be considered service-connected. Dr. Johnson, I have filed for service connected CLL. Equipment had been previously used in Vietnam. My ETS was 12/1988. First detection 2001. Stage 3 and chemo in 2009-2010. Right now in remission, though I must take Danazol to avoid angioedema. In the past they had put me in hospital, as the connection to CLL had not been drawn. It was confirmed in 2003 by local allergist and Northwestern Hospital in Chicago. My energy levels have never recovered and currently I am in remission. Any opinion as to rating for this? I am at 20% for hearing loss. When any type of leukemia is no longer active, it is rated as either anemia or aplastic anemia. You can compare your current circumstances with the ratings for those two conditions. Whichever is higher will be the rating you are given. The minimum rating if you have to be on continuous medication is 10%, however, you may qualify for higher depending on circumstances I am unaware of. In addition to my previous question, I am claiming CLL caused by exposure to equipment that had been used in Vietnam. My exposure occurred over five years, from the early 70's. I am at wits end with how to prove the prior use of the equipment in SEA. I have investigated on my own and the radios I operated for 5 years, AN/TSC-15, were used in Vietnam and SEA. How heavy a burden of proof would you say I have to provide? Nearly 50 years in the past. Also, my oncologist and PCP at the time, both now deceased, commented that the onset of CLL usually occurred in people much older. I was diagnosed just after turning 49. Thanks in advance. If you were on the ground in Vietnam between Jan 9, 1962 and May 7, 1975, then you will automatically qualify for exposure to Agent Orange. You just have to prove that you were on the ground, so deployment records would suffice. CLL is a b-cell leukemia, and all b-cell leukemias qualify on the VA's Presumptive List for Agent Orange exposure. I wasn't but suspect my equipment, radio vans, was. Right now, they don't usually provide service-connection if the veteran didn't have boots on the ground unless you served on one of the contaminated C-123s. On the current rating schedule, is CML in apparent remission but still undergoing continuous treatment with TKIs rated at 100% because it is in a treatment phase? or would it be rated equivalent to anemia because of the "apparent remission"? Looks like the new 7719 code would put it at 30%. The ratings for CML are a little confusing. I'm not sure if the impact of the revised ratings would be an increase or decrease. You've brought up a really good issue. Under the new proposed ratings, it would be rated 30%. Under the current ratings, however, it technically qualifies for a 100% rating, although the VA could argue otherwise. The current VASRD literally states that a 100% rating is give "with active disease OR during a treatment phase." The "or" means that the treatment phase would still qualify for a 100%. However, the VA could argue that TKI therapy doesn't influence overall quality of life as significantly as treatments like chemotherapy and so do not fit the 100% requirement of a treatment. It's a gray area, and that's why the VA wants to make a new code just for this condition. Based on this new code, it's clear that they feel the 30% is the appropriate rating. ". . . after it progresses to more severe stages that a true disability appears. If detected early and properly treated, this leukemia can stay asymptomatic for many years. Thus, until it develops to a point where symptoms are manifest, the VA proposes that it should only be rated 0%. . ."
As I have swollen lymph nodes and spleen, I could make a claim? As long as your leukemia is service-connected, you can submit a claim any time. The VA will look at your symptoms and determine whether or not it qualifies for a rating higher than 0%, but as long as it is rated 0%, as soon as it worsens in the future, the VA can easily increase your rating to cover the new symptoms. Because of this, it is definitely a good idea to go ahead and apply, even with only mild symptoms. Have these proposed changes been approved or at least on a path to approval? I'm particularly interested in 7718, essential thrombocythemia. I've been on hydroxyurea for three years with with a platelet count hovering in the 900's. As I'm about to retire and starting my claim, I'm looking for any information I can get. Thanks! These are waiting to be approved. We have no way of knowing just how long it will take, but as soon as they are made official, we'll blog about them and update our site. Can you receive a separate rating for these 2 blood conditions or would that be considered pyramiding? I served at Camp Lejeune in 1982 and now have multiple blood disorders. I am still going through diagnostics to determine what is going on. Yes, the VA will usually only rate a single blood condition, whichever provides the higher rating. Especially in this case, since both can cause similar symptoms and require similar treatments (transplants, transfusions, etc. ), the VA will most likely only rate one.